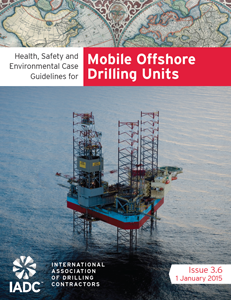 The IADC HSE Case Guidelines for both offshore and onshore drilling rigs have become increasingly popular with drilling contractors in many areas around the world. The Guidelines provide a framework for developing an integrated health, safety and environmental management system for use in reducing the risks associated with offshore and onshore drilling activities. 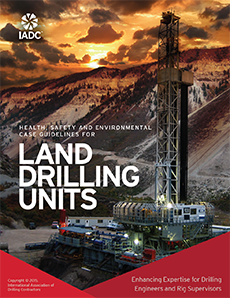 The Guidelines provide the worldwide drilling industry with a means of harmonizing global health, safety and environmental principles applicable to drilling units into a single methodology tailored to the drilling contractor community. This framework will greatly assist regulatory bodies, drilling contractors, and oil and gas producers in achieving higher degrees of personnel safety and environmental protection worldwide. The Guidelines are gaining worldwide acceptance and exposure not only in Northwest Europe and Australia, but also in Cuba, Canada, Angola, South Africa and Trinidad and Tobago (see chart below). As large, multinational oil and gas operators acknowledge the importance and benefits of the HSE Case Guidelines, their use may expand to other oil and gas provinces around the world. As currently implemented, this safety management system represents a voluntary, core set of principles which can be applied to any drilling unit regardless of geographic location. As such, use of the Guidelines can assist regulatory authorities when evaluating drilling contractors’ safety management programs, providing them assurance that the program encompasses a series of best industry practices designed to minimize operating risks. In December 2007, IADC received the Carolita Kallaur Award for Outstanding International Safety Leadership, presented by International Regulators Forum (IRF). The award recognized IADC’s contribution to improving safety in drilling operations, through the development of the HSE Case Guidelines.